Health professionals, including nurses, may find that childhood obesity is an ever-growing and frustrating problem that they will face on a daily basis. The numbers are staggering, showing that childhood obesity is a nationwide epidemic. While the nation is addressing the problem, illnesses that affect obese children often become obstacles in helping them to lose weight. Hence, obese children often become obese adults who often carry health problems with them into adulthood. Nearly 22 percent of preschool children in the United States can be defined as overweight and 10 percent as obese. African Americans, Hispanics, and American Indians have been experiencing the highest rates of increase in childhood obesity. On average, 25 percent of children in these ethnic groups are obese. In 2010, the global number of overweight children under the age of five, is estimated to be over 42 million. 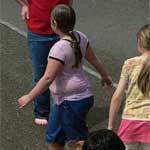 Obesity Begets Obesity: If you have a family history of obesity, your child may be more likely to put on excess weight. This is especially true in an environment where high-calorie foods are always available and physical activity is not encouraged. Too Much Television: Spending more than eight hours per week watching television by 3 years of age has been known to increase the risk of childhood obesity. It is speculated that the excessive weight gain through television watching is due to the child forming a habit of having a sedentary lifestyle. 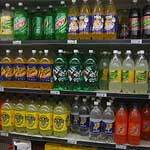 Fast Foods and Soft Drinks: As the body weight of children have increased, so has their consumption of fast foods and soft drinks. The proportion of foods that children consumed from restaurants and fast food outlets increased by nearly 300 percent between 1977 and 1996. Children’s soft drink consumption has also seen an incredible increase during those years, and the fast food and soft drink intake has continued to rise. Not Enough Fruits and Vegetables: Only 21% of young people eat the recommended five or more servings of fruits and vegetables each day. While both can be healthy, vegetables tend to have a higher concentration of nutrients such as vitamins and fiber than fruits. Sweet Drinks: Sweet drinks, even 100 percent fruit juice, contain a lot of calories with little or no nutritional benefit. Consuming actual fruits is better for you and your child than fruit juice. This is because the sugar concentration is not nearly high and there is more fiber in an actual fruit than fruit juice. Fiber aids in the digestive process and can increase your metabolism, which may decrease weight gain. Sugar: Those who should be especially careful to limit their sugar and other carbohydrate intake are obese, sedentary people. Children and adults with serious blood lipid problems, and people who have type II (adult-onset) diabetes, should be especially mindful of what they consume. A recent study where participants consumed 28 percent of their calories from sugar during a 10-week period, ended up having increased body weight and blood pressure. 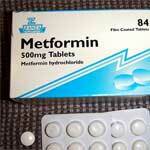 Medications: Psychiatric medications or steroids can be one cause of obesity. Children and adolescents who take the newest generation of antipsychotic medications risk rapid weight gain. Please consult your pediatrician if you notice that your child is gaining weight before changing their medication. Neglect: A study at Temple University by Dr. Robert Whitaker showed the first link between neglected kids and childhood obesity. Examples of neglect include a parent not showing enough affection to the child due to preoccupation with their own problems, not taking a child to the doctor when they needed it, and leaving a child at home without the proper supervision. Type 2 Diabetes: Once rare in American children, now the condition accounts for up to 45 percent of newly diagnosed diabetes cases in children and adolescents. Most cases of type 2 diabetes in children occur in those who are overweight. Cardiovascular Disease: In a population-based sample of ages 5 to 17 years, 70 percent of obese youth had at least one risk factor for cardiovascular disease. Apnea and Loss in Learning and Memory Capabilities: The incidence of snoring among obese children was 12.5 percent, more than two times higher than that of overweight children (5.8 percent) and three times higher than that of normal weight children (4.6 percent). Obese children with obstructive sleep apnea, demonstrate clinically significant decrements in learning and memory function compared to obese children without obstructive sleep apnea. Low Self-Esteem: Overweight children may have low self-esteem, which is made worse when they are unable to participate in sports or playground activities. Blount’s Disease: Unlike bowlegs, which tend to straighten as a child develops, Blount’s disease slowly gets worse. Severe infantile Blount’s disease appears to be associated with obesity in children. Approximately 80 percent of the children in this study [PDF] were obese. Menstrual Problems: Overweight or obese young girls may experience puberty at an earlier than average age due to hormonal imbalances. Excessive weight gain may also contribute to other health issues concerning the reproductive system later in life. Asthma: As a doctoral student in human nutrition, Sara Rosenkranz discovered through research that healthy children with a higher percentage of body fat and a sedentary lifestyle had increased chances of their airways narrowing after exercising. Atherosclerosis and Coronary Heart Disease: There is compelling evidence that the atherosclerosis (fatty deposits of plaque in artery walls) or its precursors begin in childhood and progresses slowly into adulthood. This it often leads to coronary heart disease, the single largest cause of death in the United States. Premature Death: Obesity, glucose intolerance, and hypertension in childhood, were strongly associated with increased rates of premature death from these diseases in this study. A total of 1394 of the children (28.7 percent) were obese, which was defined as a BMI in the 95th percentile or higher on the Centers for Disease Control and Prevention (CDC) growth charts.